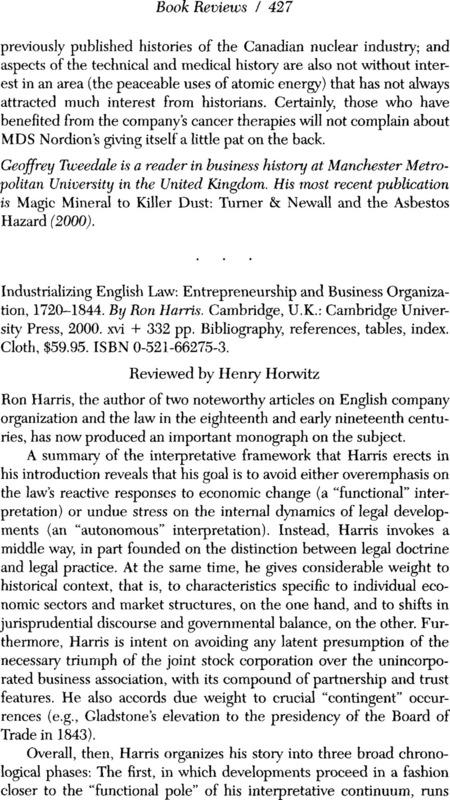 Industrializing English Law: Entrepreneurship and Business Organization, 1720–1844. ByRon Harris. Cambridge, U.K.: Cambridge University Press, 2000. xvi + 332 pp. Bibliography, references, tables, index. Cloth, $59.95. ISBN 0-521-66275-3.